Big and broad, jowly, and bald, Janos Slynt is often compared to a frog. He has teenaged children, and one would guess he’s in his 40’s. 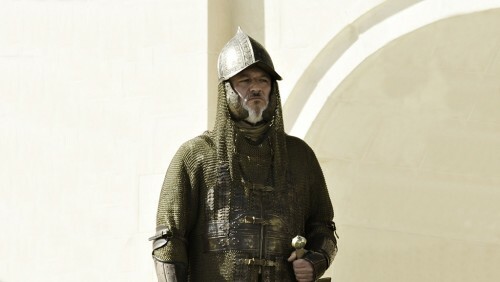 Janos Slynt is the commander of the City Watch of King’s Landing, responsible for keeping the peace in the thronged, thriving capital of the Seven Kingdoms.